Great collection, a lot of interesting stuff. What is the small Turles from here, i know one of them is AB, what is the other...? Fantastic collection. Some very nice figures in there and I love how you have displayed them by the various themes and characters. Interesting stuff! A diverse amount of bootlegs for sure. That black Vegeta is so funny! I remember seeing your blog a few months ago! We have our first member from Portugal now! Nice bunch. Dragon Fist Goku and Mighty Mask very cool. 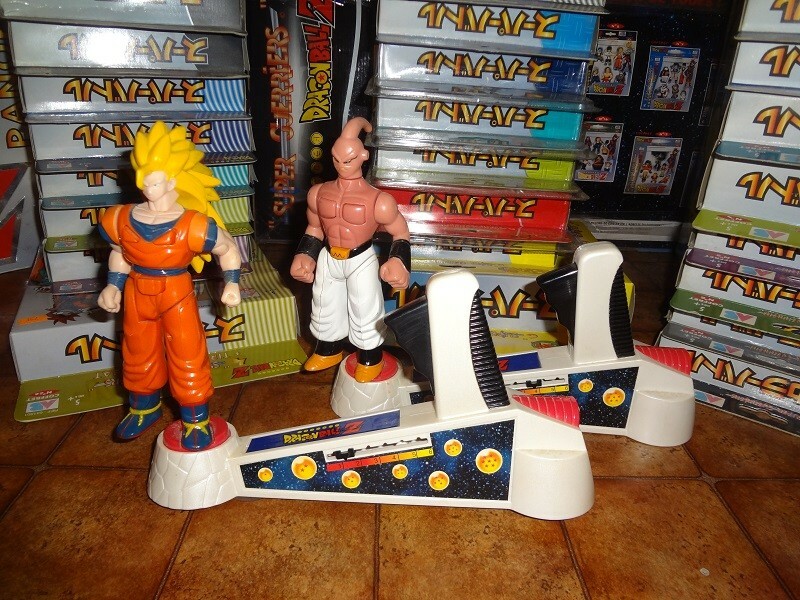 That dbgt Trunks is a bootleg based on a Japanese garage kit. It's pretty cool. There is a Goku and Pan that go with him. This coins have Trunks, Gotrunks and Goku---1989, "Menorquina"